There are many reasons why Ukraine is a popular dental tourism destination for foreigners. One of them is the cost. The dental treatment costs in Kiev are cheaper by European and American standards. 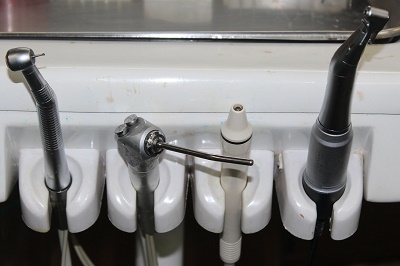 A dental filling, for example, would cost approximately 300$ to 400$ in the US or Western Europe but would only cost only approximately 40$ to 50$ in Ukraine. Root canals cost around 3,000$ by Western standards, but may cost only about 100$ to 200$ in Ukraine. Dentures cost about 1000$ in the US, but only 200$ in Ukraine. Another reason Ukraine is fast becoming the choice dental tourism destination are the dentists. Dentists in Ukraine are well-trained in Europe and the USA and are multi-lingual. Expats are advised to exercise a high degree of caution when in the country, as the tensions may escalate and lead to potentially life-threatening situations. Aside from the country being one of the top tourism destinations in the world due to its beautiful and rich historical and cultural heritage, Kiev, its capital city, is also home to some of the best dental treatment centers. Western style clinics in Ukraine has a state-of-the-art dental technology for its dental tourists. Another reason people flock here for dental treatments is because Ukraine is accessible. There are direct flights, whether you are coming from within Europe or from the United States. However, the present situation in Ukraine has led to the capital being a frequent area for protests and violent demonstrations. Make sure to make an appointment for dental treatment. In case of emergencies, private dental clinics will accept you for treatment even without an appointment. It is best for expats to purchase private health insurance in Ukraine. Make sure that your chosen insurance package includes dental services. An international health insurance in Ukraine plan for expats is ideal for them to access the best dental clinics at par with Western standards of quality dental care. Both private and international health insurance can also be helpful given the present situation in the country, and expats can have some peace of mind knowing they are covered in case any unexpected situations happen.